Gun violence seems to be reaching epidemic proportions in the United States. On Sunday, 5 August, a man shot to death six people at the Wisconsin Sikh Temple, just weeks after the Colorado cinema gun massacre which left twelve people dead. Adding to the grief is the possibility that the shooting was motivated largely by white supremacist ideology. The ULC denounces this horrible attack, and we call on our community of wedding ministers ordained online to lend their support to the Sikh community during this painful and difficult time. The incident occurred in the town of Oak Park around 10:30am, when a man police have identified as Wade Michael Page entered the temple and began shooting worshipers. Four of the dead were found inside the building and two outside, while some of the survivors were found hiding inside kitchen cupboards for safety. Among the wounded is Lieutenant Brian Murphy, who was shot eight or nine times at close range by Page while trying to help a victim before another officer shot Page dead. Later that night, local authorities searched Page’s house in the nearby town of Cudahy. Wisconsin has some of the most lenient gun laws in the United States–the state passed a law in 2011 allowing citizens to carry concealed weapons, which possibly explains how easily Page carried out his attack. Page’s attack may have been motivated by his racist ideology, in direct opposition to everything churches like the ULC stand for. In the 1990s, Page, worked in psychological warfare for the military, but after being demoted and eventually discharged for misconduct, he became immersed in the world of white supremacist music, playing as bassist in bands like End Apathy and Definite Hate. Between March, 2010 and the middle of 2012, he had posted 250 messages on a skinhead Web site, eagerly trying to recruit others to his cause, saying back in April, “[p]assive submission is indirect support to the oppressors. Stand up for yourself and live the 14 words [a white supremacist mantra].” Obviously, wedding ministers ordained online in churches like the ULC condemn such odious and dangerously delusional beliefs. Unfortunately, Sikhs have experienced similar incidents since the 9/11 attacks. Because of their beards and turbans, observant Sikhs are sometimes mistaken for Muslims and consequently harassed as terrorists (an abuse nobody deserves, Sikh or otherwise). 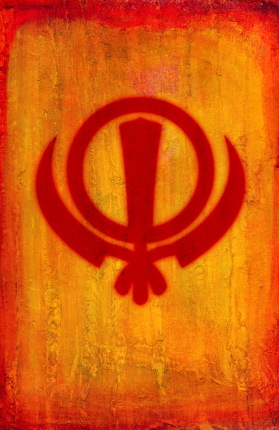 But the Sikh religion has a great deal in common with the ULC and other churches where people get ordained online: like the ULC, Sikhs emphasize the equality of all human beings and prohibit discrimination on the basis of characteristics such as caste, creed, and gender. Thus, one might argue that an attack on the Sikh community is an attack on the ULC. The tragedy that took place in Wisconsin brings to light not only America’s epidemic of gun violence, but also its dark and ugly underworld of white supremacy. As ULC wedding ministers, it is our duty to call attention to violence and the misguided beliefs which give rise to it. 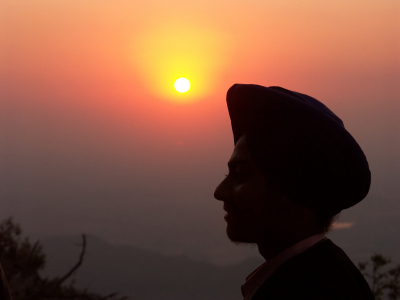 We hope you will be a source of consolation and support for the Sikh members of your community as they struggle to come to terms with what happened, and that you will do the same for future targets of discriminatory violence as well. After all, we are all children of the same universe.